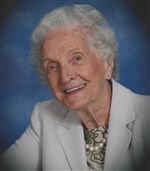 Mary Elsie Smith Burnsed, (known to all as “Nana”), died Thursday evening, March 21, 2019, at the age of 95 surrounded by her adoring family. Born in Charleston, South Carolina, she was the daughter of Helen Kay and Liston B. Smith who moved the family to Savannah when Nana was a toddler. She attended Savannah High School where she met the love of her life, Olin Louis Burnsed. Following graduation, they married at Bull Street Baptist Church on October 26, 1941. Just six weeks into married life, Olin, (Papa), enlisted in the army’s 30th Infantry Division, Old Hickory. Nana kept the home fires burning while Papa distinguished himself in the European Theater. Nana liked to remind us that Papa made the Living while she made the Home! They raised four children, Vicki, Ellen, Louis and Marilyn, and Nana knitted each an afghan. She then welcomed every one of her 15 grand babies and her 25 great-grand babies with a hand knitted baby blanket. Nana was an excellent cook and “glued” her ever expanding family together with her famous pot roast and delicious macaroni (which several grandchildren have attempted to master while watching the cook who used no recipes!) A woman of strong faith, she served her Lord and Southside Baptist Church by taking charge of the Nurseries for 30 years. When Papa became terminally ill, she overcame her shyness of praying aloud, and we all have beautiful memories of her eloquent petitions to God. A breast cancer survivor herself, she kept her wonderful sense of humor and loved to walk on the beach collecting shells or boating on Savannah’s waters – never above a cruising pace. Daily, she completed the crossword puzzles in the Savannah Morning News and was an avid reader, bridge player, and canasta club member. She remained very independent, remaining in the home she & Papa built for 65 years. At age 94 she moved to Savannah Square. Her grateful large family had the chance to extravagantly celebrate her 95th birthday in July and are left with a sense that a woman like Nana is a rare gem indeed. Surviving are three daughters, Vicki Mohr of Lawrence, Kansas, and Ellen Bolch and her husband, Jeep, and Marilyn Hitt and her husband Nick, all of Savannah; one son, Olin Louis Burnsed, Jr. and his wife, Mary Sue of Marietta, Georgia; fifteen grandchildren, Michelle Carney, Kim Rowland, Geoffrey Repella, Noelle Davies, Christopher Hitt, Meredith Dulany, Matthew Repella, Allison Hitt, Nicholas Burnsed, Jeremy Hitt, Kady Jones, Beth Rogers, Michelle Grasso, Jeff Bolch IV and Amanda Jones. Nana was also blessed with twenty-five great-grandchildren. The funeral service will be held at 11 o’clock Tuesday morning in the chapel of Gamble Funeral Service conducted by The Reverend Dr. Allan W. Bosson and The Reverend Dr. Benton C. Martin. Interment will be in Bonaventure Cemetery. The family would like to thank the team of THA Group’s Island Hospice for their extraordinary care and for piloting the unique inaugural collaboration with the incredibly wonderful Hospice Savannah team. Thanks to the leadership and support of both community nonprofit hospices. In lieu of flowers, donations may be considered for THA Group’s Island Hospice Foundation – 3 West Perry Street, Savannah, Georgia 31401 or the Tiny Houses Project Fund of Wesley Monumental United Methodist Church – 429 Abercorn Street, Savannah, Georgia 31401. I’ll miss her like she was my mother. She was a wonderful role model and loved by everyone who knew her. We’re very sorry for your loss. What a wonderful life and what a great legacy to leave behind. You are in our thoughts and prayers. Marilyn, Meredith, Jeremy & family our thoughts and prayers are with all of you. We will always have very fond memories of Mrs. Burnsed. She was a wonderful Christian lady and a great neighbor. She has left a great, loving legacy and we know you have wonderful memories to cherish of such a special lady. To the Burnsed family: I remember the Burnseds from my time at MetLife and later Southside Baptist. My prayers go out to you in the loss of your dear mother. To all the Burnsed Family: I met Mary about 1956 at Southside Baptist Church —-played in the same bridge club for twenty years until we moved—-have remained in touch —every trip back to Savannah included visiting with her —the last time was after she moved to Savannah Square — She was my friend — my mentor — a beautiful Christian lady and I will miss her deeply. I Thesalonians. 4:13-18. I know that the Lord of Comfort will be with you all.